Prosurf is a high-performance liquid repellent surface agent that prevents hydrocarbons from binding to the surface of measurement instruments and sensors. This easy-to-apply surface treatment combats paraffin clogging, making it an essential for all metal surfaces where durability and reliability are key. A sensor’s sensitivity is often linked to the transparency of a window for a laser, the ability to slide on an axis for a floater, or the non-contamination by viscous oil or grease for a valve or for a Coriolis meter, for example. Prosurf’s outstanding performance ensures that all types of hydrocarbon (crude oil, bitumen, paraffin, asphaltene) simply slide off the sensor’s surface. Substantial savings on maintenance costs. If you’re looking to limit hydrocarbon contamination on pipes, tubes, valves and sensors, then Prosurf is the product for you. It is a must-have for metals and alloys, and is particularly effective on stainless steel and aluminium. Prosurf has become a go-to solution across the oil and gas industry, where it is used to protect sensors in oil fields and hydrocarbon tanks, helping foster durability and reliability as well as cutting maintenance costs. Effective: Prosurf boasts an outstanding ability to prevent hydrocarbons from adhering to practically all the materials employed within the oil and gas industry. 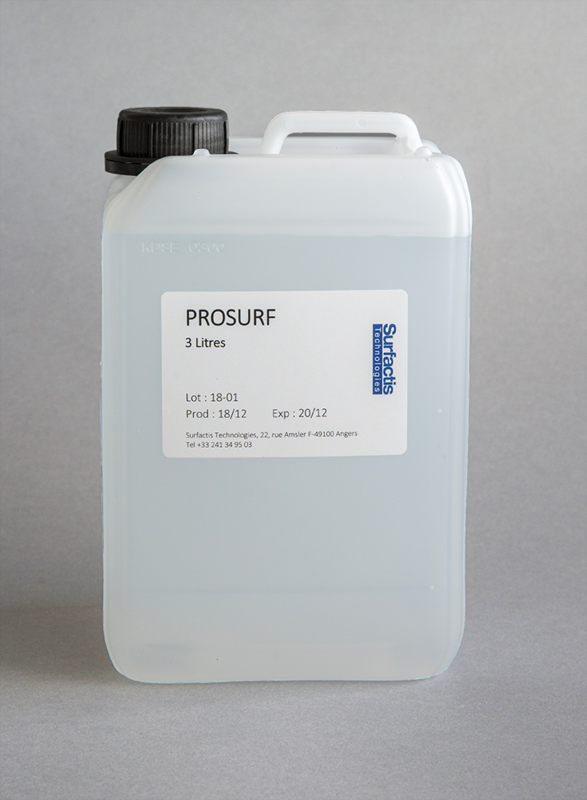 Easy to Apply: Prosurf is a turnkey product – simply apply by spraying, dipping, flushing, flooding or wiping. The instrument is ready to use as soon as the surface has dried. Reliable: Prosurf creates an easy-to-reproduce, ultra-thin protective layer that does not interfere with the data collected by the sensor. 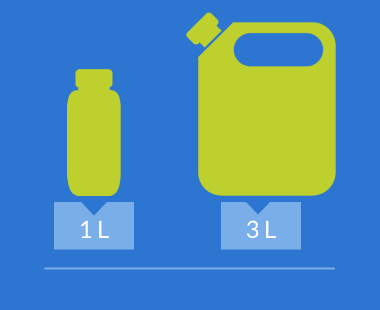 Resistant: The coating delivers excellent long-lasting resistance to oil, solvents and detergents up to 150°C (300°F). Environmentally friendly: Prosurf is an environmentally responsible product with an Ozone Depletion Potential of 0. It is also non-flammable and non-explosive. Patented: Prosurf is a patented product (patent number WO2017144480). 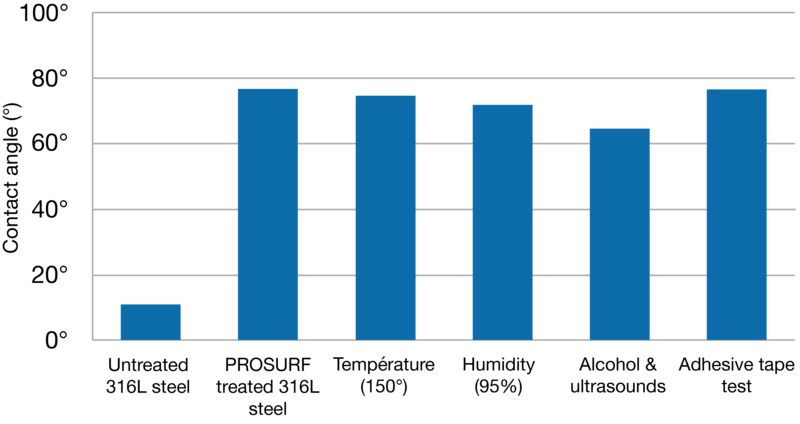 The chart below demonstrates PROSURF’s hydrocarbon-repellent credentials by measuring oil contact angles on coated materials. Prosurf continues to demonstrate outstanding performances even following exposure to deleterious conditions. Minerals : glass, SiO2, germanium, sapphire. Prosurf can be applied to small or large surfaces by spraying, dipping, wiping or flushing. No curing required – simply apply and use.